Many individuals are taking the big leap and have been thinking about purchasing their very own homes. If you are one of these people, you know buying your dream house can be daunting, especially with the toll it can take on your finances. With a Nationwide Mortgage to the rescue, you can not only get preferential rates, but you can also get cash back offers on your loan. Interested in getting a Nationwide Mortgage that gives you a slew of rewards? Read on to find out how you can apply for one today. One of the exciting offers made available by Nationwide Mortgage is its cashback offers. Under this offering, first-time homebuyers who will take out a loan will be given a £500 cashback upon completion of their mortgage. If you choose to borrow money with the help of Nationwide, you can use this cashback to help improve the overall structure and appearance of your property. 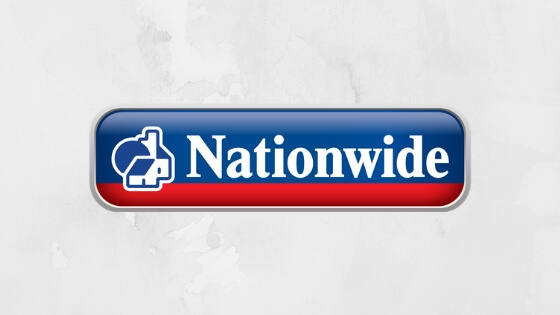 Likewise, if you choose to remortgage your current property with Nationwide, you can also avail of the £500 cashback. Under this exclusive offering, you can also choose to get free standard legal fees in lieu of the cashback offer. If you are looking to buy your first home, registering with the company’s Help to Buy: ISA will allow you to get preferential rates and other exciting discounts. Under this program, first-time buyers can up their savings game since inviting interest rates will remain at 2.50%. Last but certainly not least, the company offers Family Deposit Mortgages. Through this feature, you can borrow against your home and allow you to gift your money to a family member who is in need of a mortgage deposit. Ordering your Nationwide Mortgage can be done by checking the requirements on their website. To be eligible, you must at least be 18 years old. However, the mortgage term you are planning to undertake must not go over your 75th birthday. To apply, you must be a resident of the United Kingdom. Exceptions may be made for an application if one of the applicants is a permanent resident from the United Kingdom. Documents that will be required from applicants include a detailed payment and credit history, employment and financial information, payslips, P60, and other relevant personal information. The loan amount which will be granted upon the approval of your application depends on your creditworthiness, intended mortgage term, and your chosen mortgage plan. The minimum borrowing amount is £25,000. The current standard mortgage rate for the company is at 4.24%. On the other hand, the base mortgage rate is currently at 2.75%. Bear in mind that these are variable rates which greatly depend on your type of mortgage, fixed or tracker deal. Apply for a Nationwide Mortgage today and you can get one step closer to your dream home. With this mortgage program under your arsenal, you can save money while getting the financial help you need.